Potential Interview with David Reale (Kai/Tsubasa VA) – Send me your questions now! 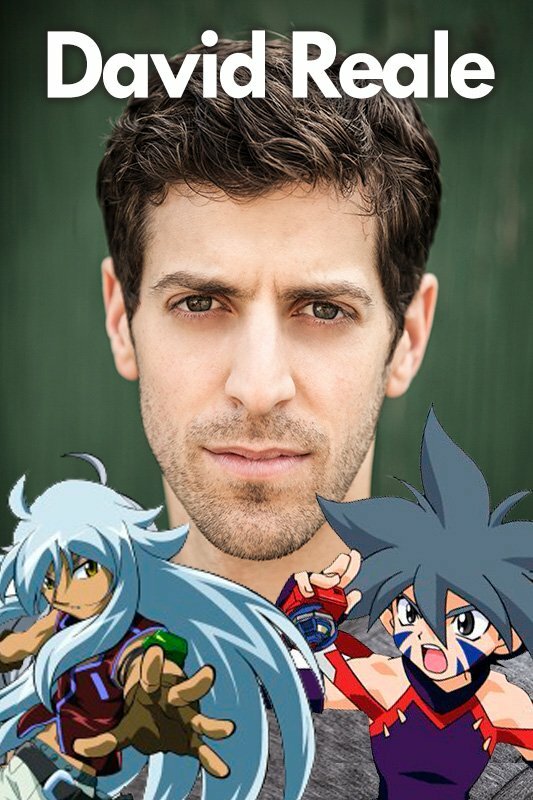 English voice of Tsubasa and Kai–David Reale–is going to be making an appearance at Anime Shogatsu this weekend on January 19th, 2019 (where we are also hosting BEYBLADE SHOGATSU 2019!). It isn't confirmed just yet, but there is a good chance that I will be able to sit down for an exclusive interview with him. So, I'd like to get some feedback from the community: is there any questions you'd like to see me ask if I'm able to interview him? That's pretty awesome I hope you have a good time Kei and everyone else here who goes. If possible please ask What was the audition process like, did you audition for any other characters other than Kai for the original Beyblade? I ask this as I remember the first Beyblade ending credits I saw in the UK late May 02 that came with the first 10 episodes (don't know if any other country had them) had Daniel DeSanto credited as Kai (but still voiced by David Reale) and credited a couple of characters that only appeared in the first few episodes while two of the main characters (Ray and Max) weren't credited. I would like to ask, You much did he enjoyed this job, Like we would probably get crazy for this, How was it for him. Also How does he sees Beyblade Grow and Change in These year, He saw these Spinning Tops we are Living for, How did he Saw it as a change. And Last, Future of the hobby in his terms. If I had one question for him in the top of my head, it would be this: Who did you prefer voicing and which did you have a better time with between Kai or Tsubasa and why? So, what made you decide to want to voice these characters that so many fans of the series would come to love? Was there a motive or something that spurred you to do so? I would like you to ask him what he thinks about Beyblade Burst/Evolution/Super Z.
I too am curious about the casting process. Is it his creative job to flesh out the personalities of Tsubasa/Kai in English, or do casting directors have their own vision that the actors conform to? Are changes in pitch and tonality ever made based on what will resonate better with an English audience vs. the Japanese audience? Do you have an Earth Eagle 145 WD? Does he wish that Eagle should have had a syncrome form when Shogun steel came out? Thank you everyone! Keep them coming if you have any other questions. I received confirmation that David is willing to do the interview, so please look forward to it! I'll post it as soon as I can afterwards; probably next week. You can see it (hear it?) here, happening between 0:30 to 0:40. But I feel like he wouldn't remember something like that, haha, or know that it happened if it was a mixed-up recording. Kai was (and still is) my favorite character from that generation, and I just always wondered what the heck happened. **Daichi had a different voice in this game than the one we know him for. - and what his favorite Beyblade combos from the original series and MFB are. "what's his favourite line or his favourite scene as Kai?" "If there were a fourth season would David still voice Kai?" Another few questions I have is how did you get on with your Beyblade co stars (from both series you were in)? Did your role as Kai play a part in getting Tsubasa? What was the dubbing experience like for both original and Metal? That's great Kei!! First, wishing you best of luck for taking the interview! Hope you are planning on getting an autograph! 1. His critics? His opinion on where both series might have improvised or done something different? 2. To which character was he able to relate himself more to? Kai or Tsubasa? 3. If the previous series returns, will he be ready to voice as Kai or Tsubasa again or is he ready to pass on the torch? 4. His thoughts on Beyblade Burst. Has he seen the series? 5. How exactly does he gt into the zone for voicing Kai and Tsubasa? Cause, I clearly remember, in Kai vs Brooklyn, when Kai says,"Beyblade is not just a game to me! "; it hit me quite hard. I could feel his pain. So if you could please ask this question, I would be grateful. As for MFB, I watched the sub or raw for a few episodes, so don't have much experience. 6. Has he watched other animes? Which one is his favourite? 7. Like everybody else, I am also excited to know about the casting process. So I am gonna second it. 8. Out of his experience on both the VA teams, which season is more special to him? And why. 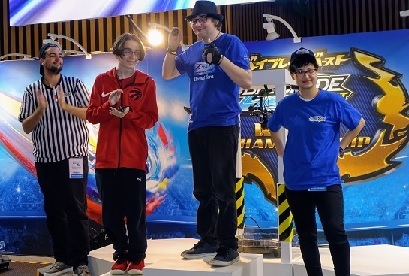 If him have Beyblades and what is him favorite BeyBattle where he participated? Here is another question: What is your favorite Dranzer? Have a fab time with David! My question is "have you read any of the Beyblade mangas? 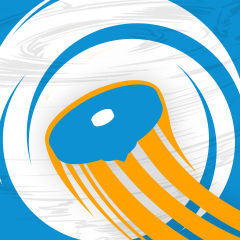 Would you read the new Beyblade manga?"